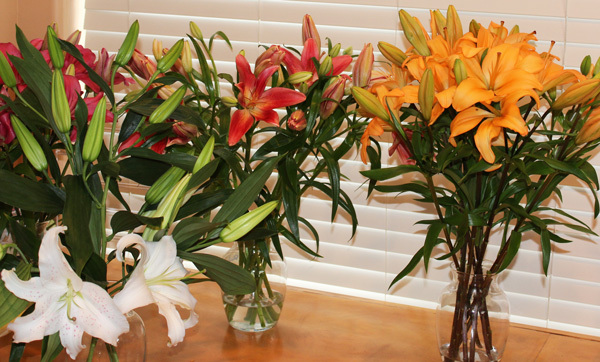 Home DIY's	Lilies, Lilies, and More Lilies! Lilies, Lilies, and More Lilies! 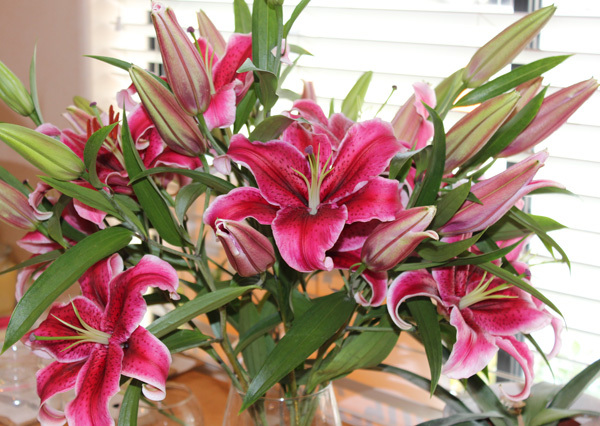 Last week we received a shipment of Lilies to our office. It was amazing! 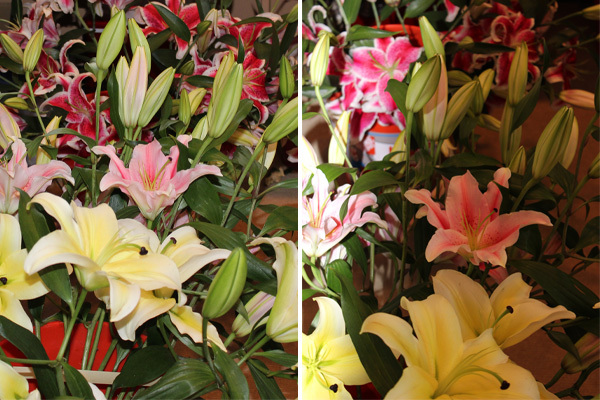 We received both Oriental and Hybrid lilies in different colors, including white, yellow, orange, and several different shades of pink. 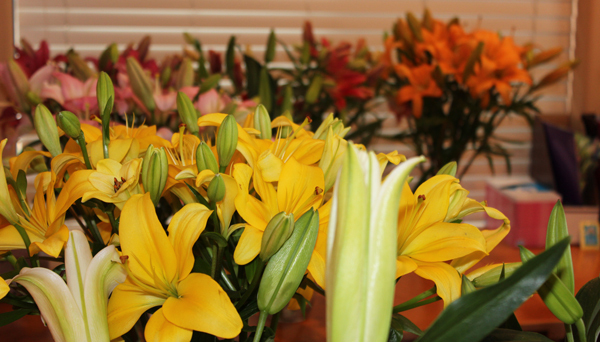 We had a total of 100 Lilies filling our office! This is definitely one of the many perks of working at FiftyFlowers! We test our products and perform photo shoots, to constantly update our product pictures and to see how our products perform under different conditions, and then we get to take these flowers home! 🙂 But before we took them home, we snapped a few group shoots, so, check em out! Aren’t they gorgeous!? I just had to throw that last pic in! 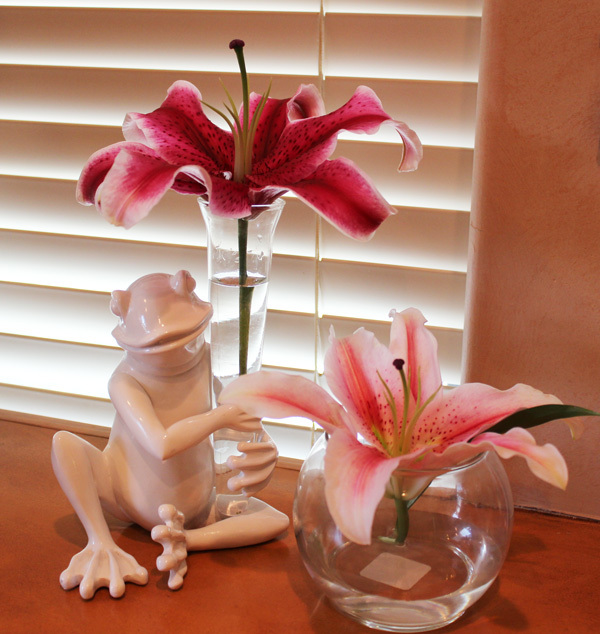 I love frogs and my mom got me that vase for X-Mas, isn’t it adorable! Also, we received these Lilies on Tuesday of last week, and the ones I have at home and on my desk are still going strong! 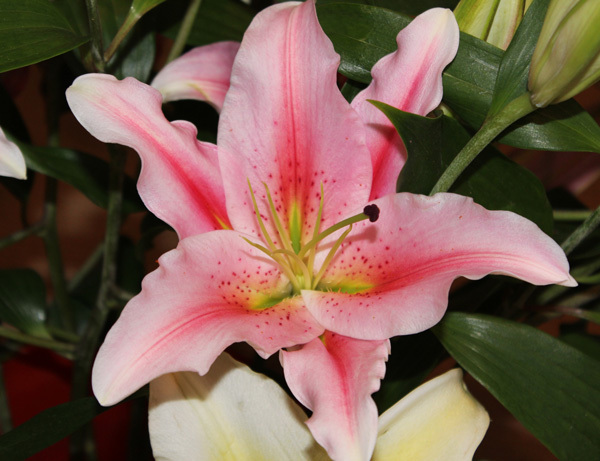 Need Lilies for your next event? Head to FiftyFlowers Now!